We love granola in our house. 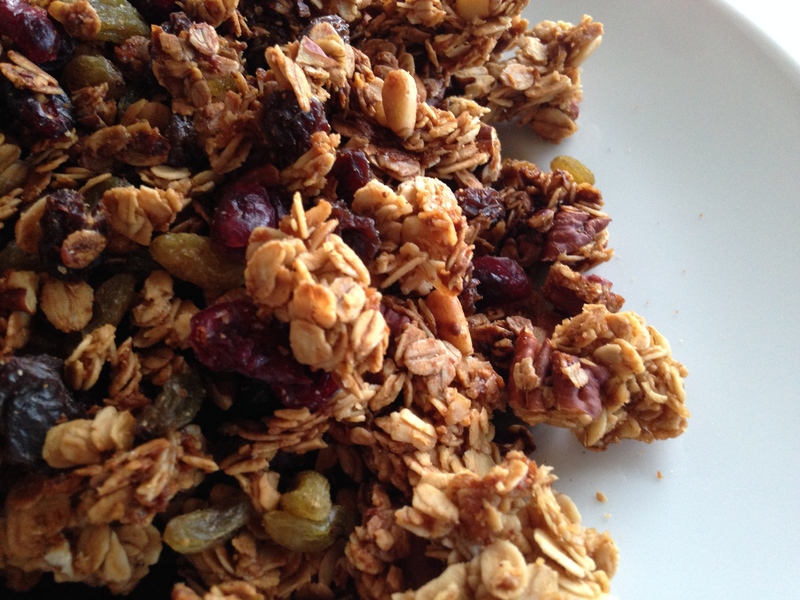 I have posted three different granola recipes on the blog which are all very similar. But this summer, I created what I call my Ultimate Granola recipe, which is a combination of all three. I have refined the process in two ways. (1) I make the sticky sauce first (2) I leave the dried fruit out of the oven. Both ideas were inspired by the owner of the Morning Glory Inn in York, Maine, where we stayed earlier this summer. 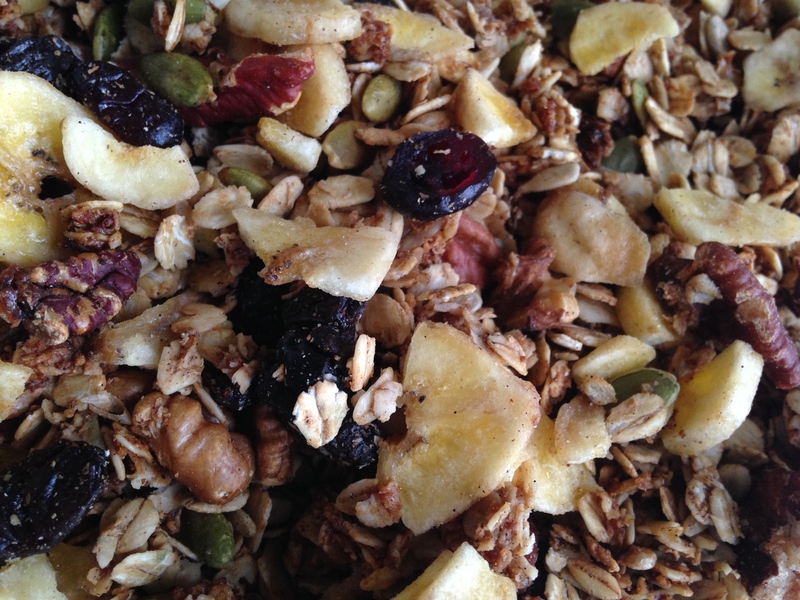 I make some combo of this granola over the weekend and we enjoy it all week with homemade nut milk or quinoa milk! Whisk together the sticky sauce. Add the oats, nuts and other ingredients to the sticky sauce and combine well. Turn out onto a baking sheet and kind of pack it all together but flatten it out. Bake for 30 to 35 minutes or until nice and golden. Break it up and add the dried fruit. Mix well. Store in an airtight container and enjoy! 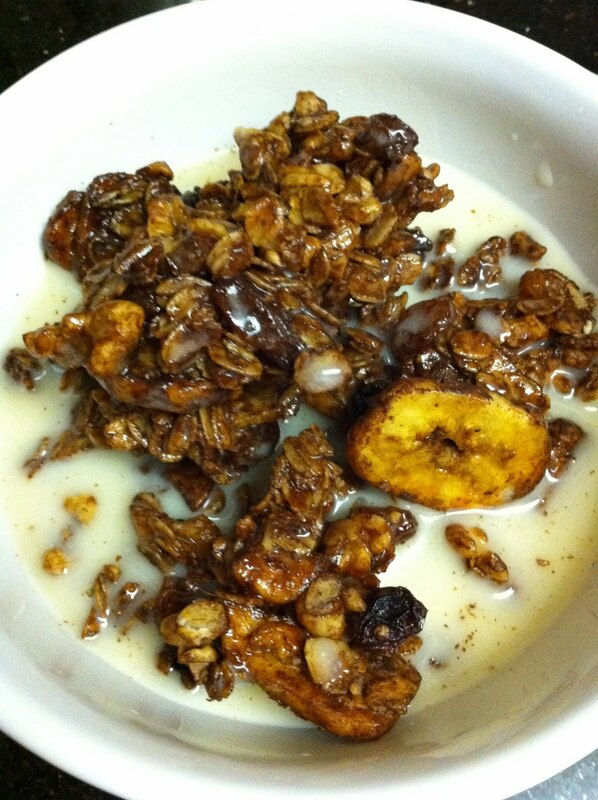 Here are links to the inspirations for the Ultimate Granola recipe.